An example of a late 19th century pocket watch, classically executed with captive barrel, split bi-metalic balance and single roller safety function on the balance. 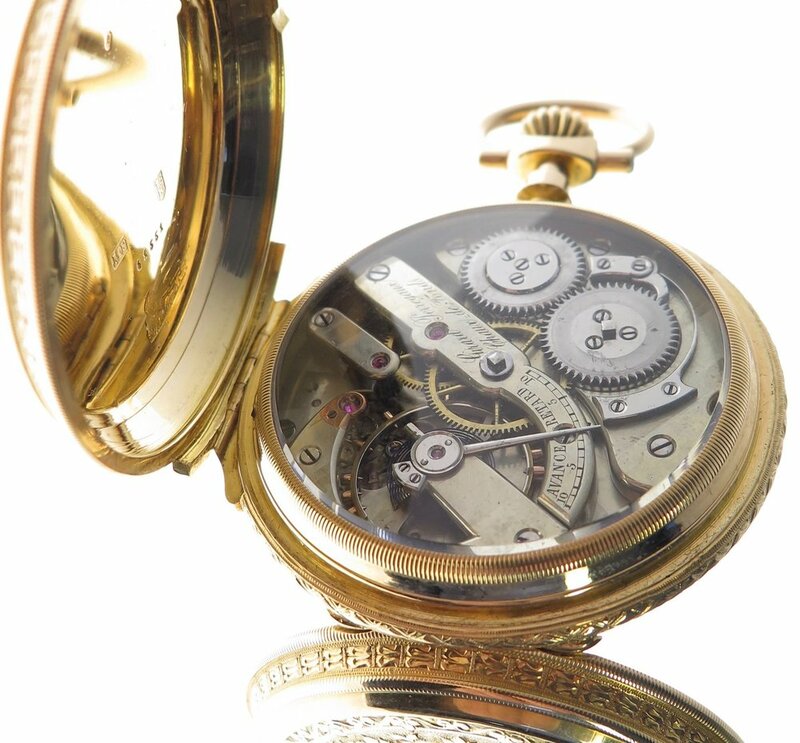 In 1852, the watchmaker Constant Girard founded the Girard & Cie Firm in La Chaux-de-Fonds, Switzerland. Later he married Marie Perregaux and the Girard-Perregaux Manufacture was born in 1856. The pronounced material at 6.oclock of the case is the construction for the case back hinge system. 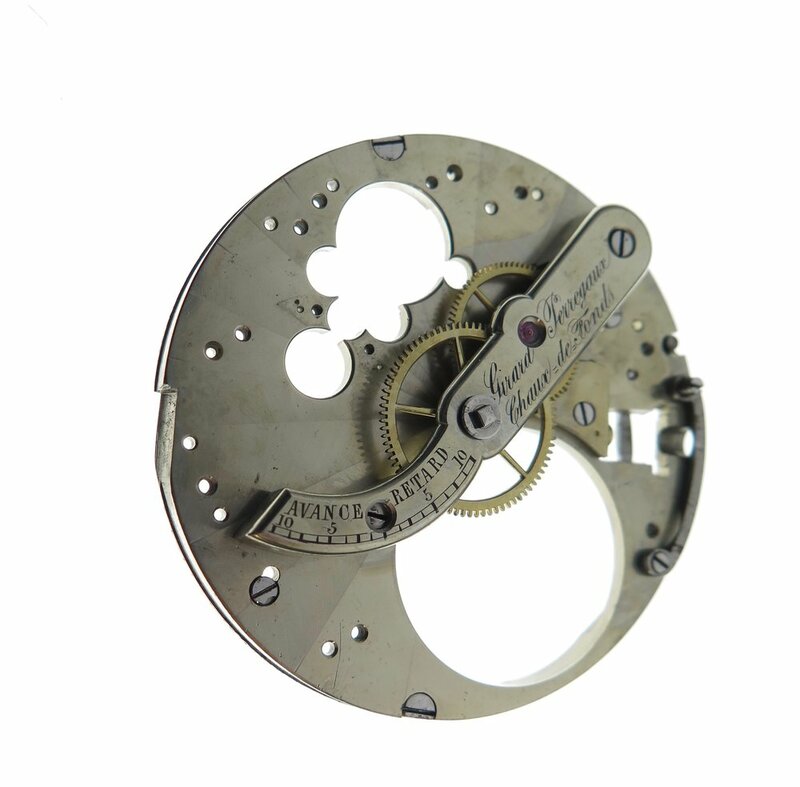 The small elliptical jewel in the centre of the image fixed to the polished steel circular plate is where the escapement lever (anchor) impulses the balance for it to oscillate. Each bridge has '1' stamped on the underside of the bridge to assure that when they were originally assembled they would not be mixed with other movements being made. Each calibre made despite being the same in design was not interchangeable in component. 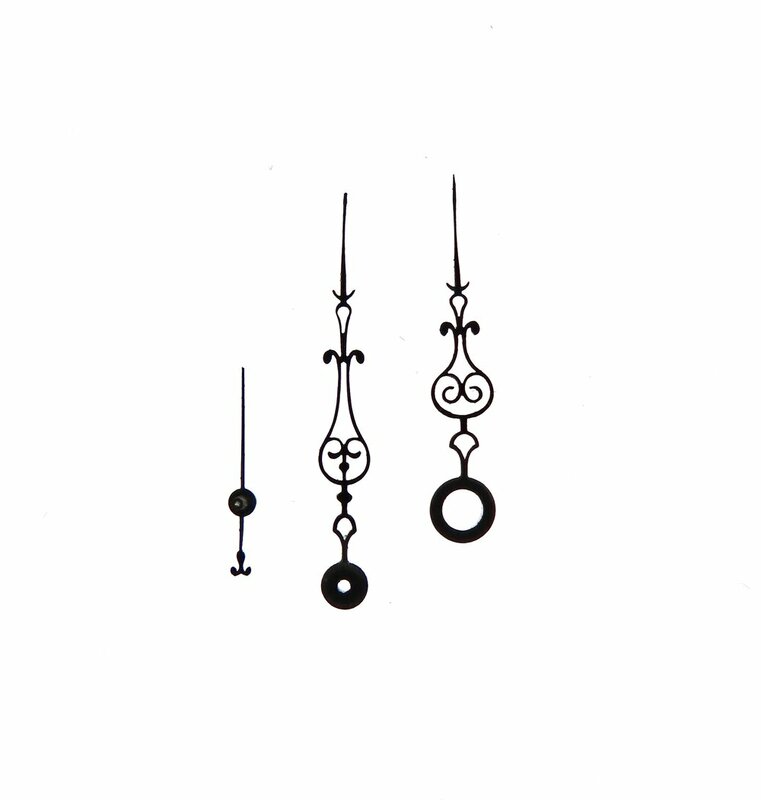 The components were made and adjusted individually for each watch.